While many cemeteries are equipped to deal with both standard burials and options pertaining to cremations, it is important for you to consult with the director of your cemetery to ensure that this is the case and that all of the requirements are met. Although one might think that standard burials are simple and problem-free, knowing the facts in advance will make it much easier. For example, there are some locations which do not do standard burials in the wintertime, due to not being equipped to deal with the condition of the ground. In these instances, the casket is generally housed in a vault until a later date. If you are planning a standard burial, it is essential for you to know the facts about your particular cemetery. You will then be able to plan a graveside service if you wish to do so. If you wish for your cemetery to be the final resting place of your loved one, this is usually possible even if you opt for cremation. 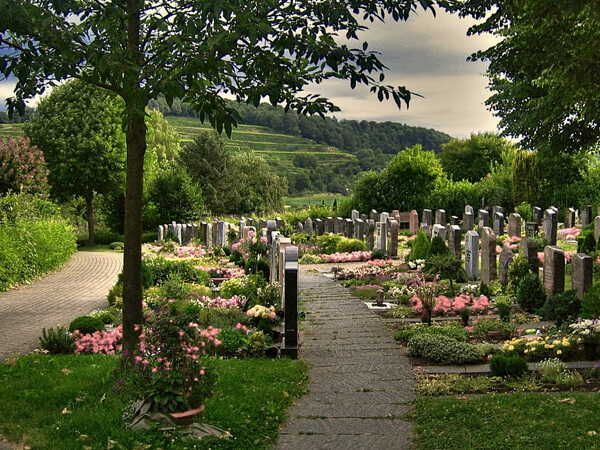 Although you should check with your cemetery to find out what is available, some ideas which you might like to consider are in-ground burial, a mausoleum, a columbarium, or placement in a special cremation garden. Depending upon the specifics of your cemetery, any or all of these may be readily available. There are many different styles and materials of cremation urns. Your personal preferences should be the deciding factor in the urn you select for your loved one. One important point to consider when making your decision is the final resting place you have chosen. Whether you select one of the cemetery options, or prefer to scatter the ashes in a different location, the urn you choose is important. Whether you are considering standard burial or cremation, the key to your final decision is remembrance. You will want to choose the method which is most in-tune with your loved one’s preferences and beliefs, as well as what is best for your family. You will honor your loved one through the manner in which you choose to remember him. It is about memories, connection to your loved one, and celebrating a special life.